Will Falconer DVM. - "Nearly everything that goes wrong with us and our pets, with the exception of trauma - i.e. 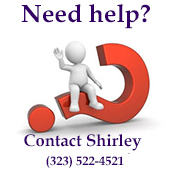 broken bones, etc., can be traced directly to an immune system failure". Pollution, drug overload and nutrient-poor diets compromise our immune health and that of our animals. The key to self-healing is a strong defense system, which protects animals from everything from the flu germs to cancer cells. More than their mainstream counterparts, holistic veterinarians believe that a weak immune system plays a key role in causing disease. 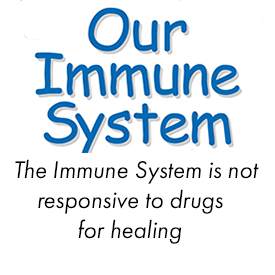 The immune system is not responsive to drugs for healing. Antibiotics fight infection, but they don't affect whatever weakened the immune system in the first lace. This is why holistic veterinarians focus less on things that cause diseases and more on those that affect the body's immune defenses. Will Falconer DVM. 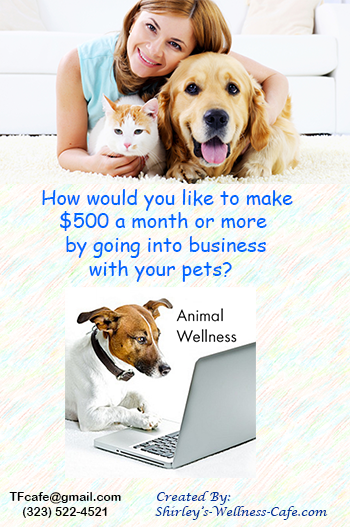 "Most of the chronic diseases we commonly see in animals have an immune basis, e.g. 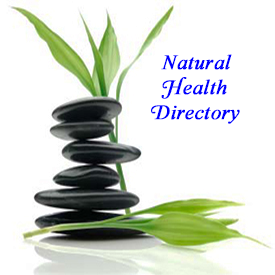 diabetes, allergies, asthma, thyroid disease, inflammatory bowel diseases, repeated ear infections, cancer, etc. While they can be cured through the careful use of homeopathy, the road to cure can be a long one -- often years if the animal has had years of disease. Unique immune support molecules can significantly shorten the course, by giving a much needed balancing effect to the immune system. If the immune system is overactive this immune modulator can balance this over activity so the system is not attacking its own organs, overreacting to things that shouldn't be perceived as a threat. If, conversely, the immune system is under-active this unique immune booster can clearly stimulate it to better meet the challenges it needs to be alert to." 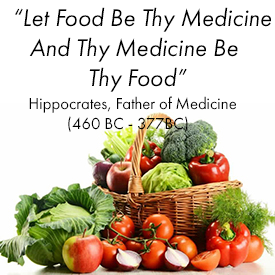 Simply stated, Immune Modulator nutraceuticals are tiny molecules that are able to convey immunity information from one entity to another to educate naive cells about a present or potential danger along with a plan for action. Although the mostly notable function of these smart molecules is to speed up the recognition phase of an infection making the duration of an illness much shorter, these molecules also have the ability to suppress an over active immune system. All said, these nutraceuticals have the ability to balance out the function of our immune system and that of our animals, whether it needs to increase in function or be reduced in the case of auto-immune disorders. Vaccinations may even contribute to premature death in animals whose immune systems were already compromised, some veterinarians believe. "I had two situations where we had spent a long time building up two older, severely immune system compromised dogs, and then their owners had them vaccinated for just about everything known to man," recalled Dr. Carvel Tiekert, executive director and founder of the American Holistic Veterinary Medical Association headquartered in Bel Air, Maryland. In all my years as a reputable Boxer breeder and showing them competitively in conformation, I've never been one to get impressed or overly excited about supplement claims. I've used many different, popular supplements in past years trying to gain an edge in health, longevity and in the performance of my Boxers. In October of 2011, I became thrown into a whirlwind of concern regarding the health of two pups I bred. I do all health testing, pride myself on producing Boxers with health and longevity in their ancestry, but even still, something awful took a hold of them! They contracted kennel cough. Sounds rather harmless, but it was not! It turned out to be a very bad strain of bordetella that I had never dealt with before. First, I tried in vain to fix them with herbal remedies. When giving herbs a reasonable time to cure my pups didn't work I had to turn to antibiotics for help. Before doing this I told myself I was going to find a supplement that would give my two pups the immune system support they needed as well as something that could fight off and conquer bacteria and viruses. After many days of research and speaking with the right veterinarians I was referred to a special immune booster which work with antibiotics and counter the ill effects antibiotics have on our dogs. This unique natural immune booster gave me the key components I needed to keep supporting, building and sustaining my two pup's immune systems while they fought off bordetella. They are now well on their way to a very healthy and strong future. I now use this immune supplement in all of my Boxer's daily feeding regimen. Since incorporating it into my dog's diet I've found remarkable improvements that are visible on the outside. I've noticed richer, darker shades of fawn coat color appearing, much less shedding and a smoother texture to the feel of their coats. Diana McCormick owns a magnificent black purebred Andalusian stallion, Amistad. The horse fully recovered from his cancer and other health problems. A year later, Diane wrote me: "The Tumor did not reappear or Amistad did not have any set backs since I nursed him through that winter after the surgery and the following Spring. Amistad looks magnificent and he is winning everywhere, producing foals and making many more. At this time Amistad is actually in the process of being sold for $80.000 to a wonderful lady in MI. So miracles do happen, had we gone with the radiation, chances are he would have broken a leg with the weak bones and he would be sterile." Michelle Lauber, owner of Legacy Hill Farms in Colorado, routinely imports champion horses from Germany. She writes: "Recently, in February 2007, when my last group of horses were imported from Europe through NY, they all became very sick at the U.S.D.A. quarantine facility in Newburg. I was faced with a very scary situation and one which I'll never forget. One by one, all my horses became sick and a normal two day quarantine stay turned into what could have been a month or more. Each day the vets could not tell me when my horses could be released to come home to Colorado because they were becoming sicker by the day. At a cost of $500 a day, I knew I had to do something to help them. I spent at least two full days scouring over the internet for research material on immune function and a possible product that could help them. I realized their stress levels had been high and that this directly contributed to their illness by lowering their immune systems. When I learned about this immune foundation product, I ordered it and had it shipped overnight to the U.S.D.A. quarantine facility. After my horses were given two doses (in two days) all four of my horses were completely well and released from quarantine. I thought it was unbelievable. The USDA vets thought so too. Not one, not two, but all four were well. And they stayed well through the 38 hour van ride to Colorado." Will Falconer, DVM - "My colleagues and I have found this one of a kind immune product to be very effective in modulating the immune system. This immune support product is a "soup" of immune-modulating factors, which contains a leukocyte-type molecule that can passively transfer immunity from one mammal to another by stimulating cell-mediated immunity and is antigen specific." Richard Bennett, Ph.D., an Infectious Disease Microbiologist and Immunologist from the University of California, Davis School of Veterinary Medicine, believes this could be the most significant development in animal health care in decades. We have a great number of veterinarians and clients who are experiencing very positive results in a broad area of disorders, including periodontal." Dr. Cynda Crawford, an immunologist at the University of Florida's College of Veterinary Medicine who is studying the virus, said that it spread most easily where dogs were housed together but that it could also be passed on the street, in dog runs or even by a human transferring it from one dog to another. Kennel workers have carried the virus home with them. "As a physician of nearly thirty years, I was well aware that no antibiotic would protect against the ravages of viral disease, particularly canine distemper which shows similarities to HIV. My seven month old white haired Shepard was adopted from a local shelter and was initially joyful and healthy. Within three weeks he developed coarse bronchitis with heavy mucus drainage of the nose and eyes. Our well intentioned vet believed the problem to be kennel cough and started antibiotics. Over the next ten days Romeo failed to improve, but instead experienced seven hard and long grand mall seizures in one weekend, a partial paralysis of the hind quarters which made him fall flat when attempting to walk and a "spaced-out gaze" of non-recognition. Blood studies confirmed distemper and showed a white cell count (lymphocytes) of only 264 slightly more than ten percent of normal. Our vet a second out-of-state consulting vet, an expert in distemper were very sympathetic and advised me to prepare myself to euthanize Romeo." "The heartache was compounded when Chico, my thirteen month old Chihuahua developed similar symptoms of hard coughing and heavy mucus drainage from the eyes. Reviewing his shot record, I learned he was mistakenly given only one distemper immunization, leaving him inadequately protected; and by licking Romeo's mucus and drinking from his water dish had contracted the infection." "Knowing little to nothing about canine distemper, I turned to the Internet and luckily stumbled on to a unique immune support supplement, a preparation which enhances and stimulates the body's own immune system to fight against all pathogens, viral or otherwise. My thirty years in medicine told me this was the only solution. I hurriedly became a distributor to get the product and started Chico and Romeo on one cap daily encased in one teaspoonful of raw hamburger. Over the next two weeks all cough and mucus drainage ceased. Romeo's follow-up blood count had risen to normal range at 2217 and he surprised the whole family by jumping a five foot wall. He romps and plays all day long with Chico, now responds normally to his name and appears to be his old joyful self again." 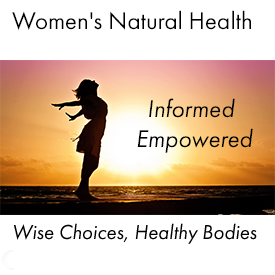 "Having witnessed the recoveries of Chico and Romeo, and after further study, all family members are taking a unique immune support supplement, one cap daily; our insurance policy to protect against a faltering immune system, the inevitable consequence of aging and exposure to environmental pollution and toxins. As for my distributorship status, I fully intend to spread the word to all my colleagues and good friends." Dr. Baruch Rosen, M.D. he Germ Survival Guide recommends this unique immune enhancing supplement. This new book written by Kenneth A. Bock, M.D., Steven J. Bock, M.D. is designed to give families and individuals preventative strategies to use to protect against germs and environmental threats. These immune molecules are extolled in the book as an effective way to optimize immune system function so that personal immunity is at its best in the face of a variety of health threats. 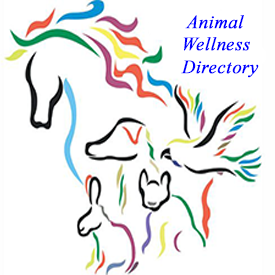 Unique immune enhancing molecules for your cats, dogs, horses, cattle and any other animals are the most scientifically advanced immune support supplements ever formulated to keep all of your animals healthy and happy. 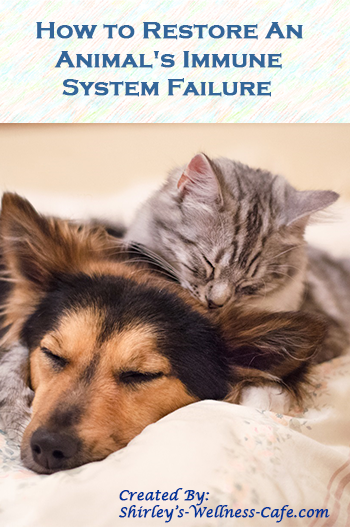 Your animal's immune system functions just like yours does. It is responsible for keeping your animal healthy. There is nothing on the market that can help support their immune system like this product. It has been proven in independent studies to increase immune system function by over 430%. Whether your animals are experiencing a particular health challenge or you just want to protect them from future problems, you can now do it safely with this immune supplement. Mange - Many normal dogs carry the mange parasite. Holistic veterinarians believe that it becomes a problem and spreads through the skin when there are immune problems, inherited skin defects or illness for other reasons. Holistic treatments aim to improve the general health, particularly the immune system, and to homeopathically treat the inherited factors. Dr. Will Falconer DVM - "... it’s a fact: we all have demodectic mites as residents on our skin. Why aren’t we all itchy and broken out with eruptions? Only one reason: the immune system keeps these parasites in check. So, when a dog is diagnosed with demodectic mange, and he’s got crusty patches around his face or toes or all over, what that means, first and foremost, is that his immune system needs help! Unfortunately, the common treatment is to dip the affected dogs in very toxic chemicals to kill the mites. So toxic, in fact, that the personnel dipping the dog wear rubber gloves and aprons! This has never made sense to me, as we know poisons have a clearly detrimental effect on the immune system. Wouldn’t it make more sense to strengthen the immune system and thereby get the normal flora of mites back in control? It can be done, and this unique immune support substance would be the best course. To discourage mites topically, paint on lavender essential oil, diluted 1:10 with almond oil. This can be applied twice a day. Be sure to avoid the eyes, however. You’ll need to give this regimen time, from at least a few weeks to a few months. 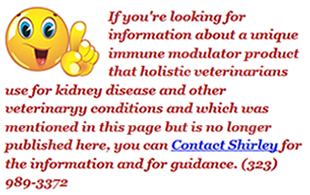 And, again, don’t short change nutrition, avoid vaccines, and work with your homeopathic veterinarian to improve health and cure the underlying illness that allowed the immune system to get so sluggish. These products have absolutely no toxicity or side effects even at mega doses. 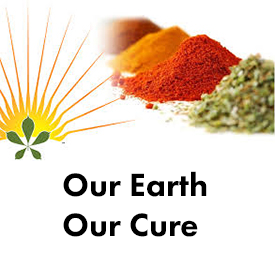 You may increase the amounts even further to achieve the desired level of immune efficiency."